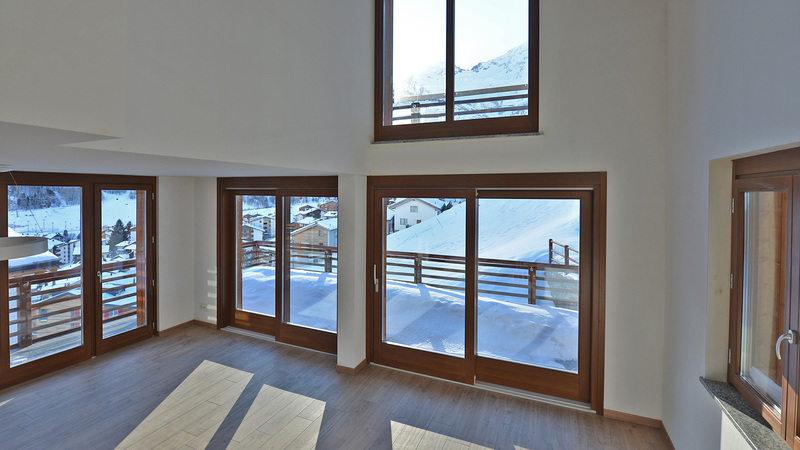 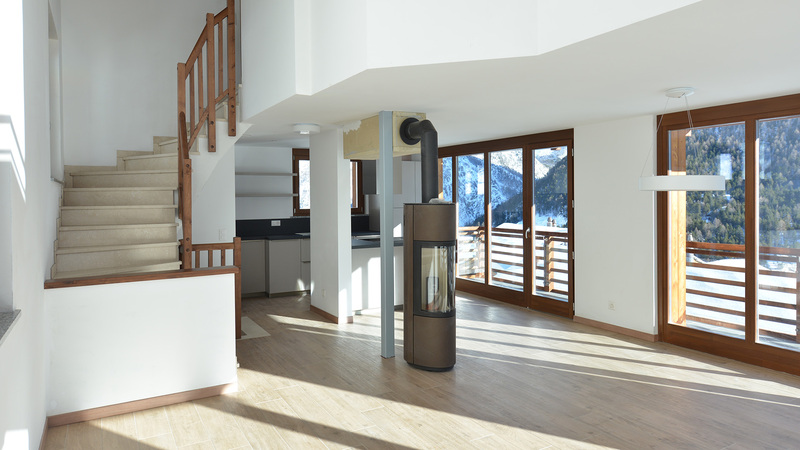 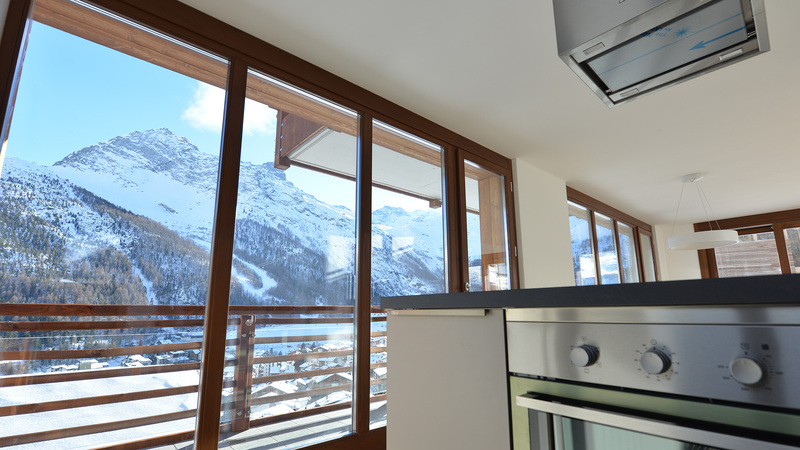 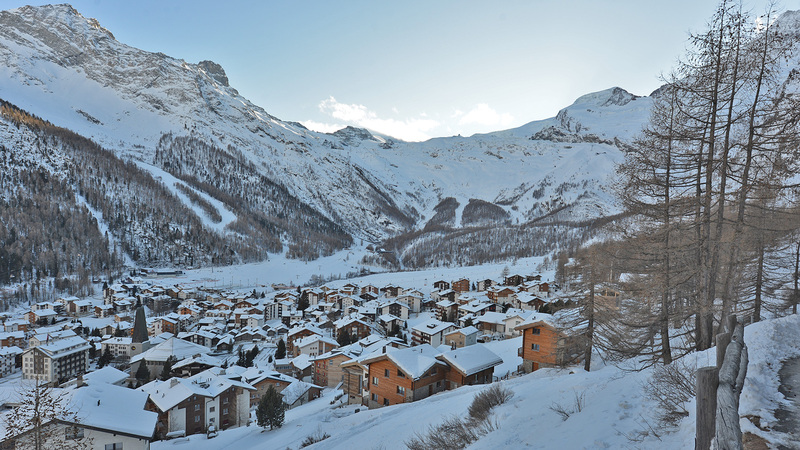 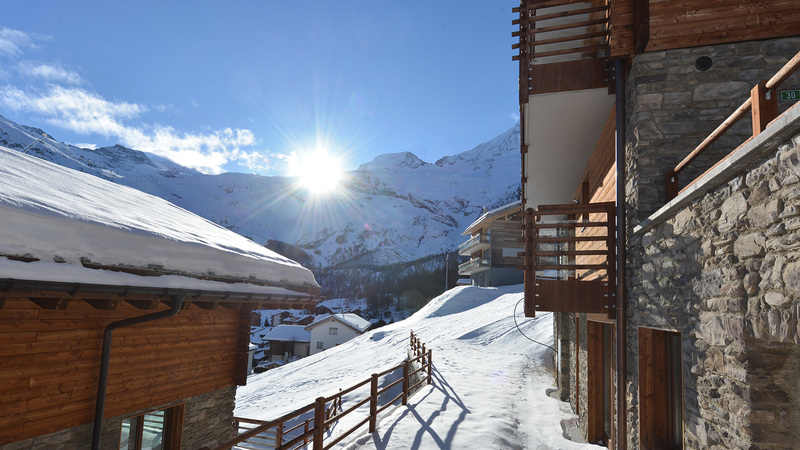 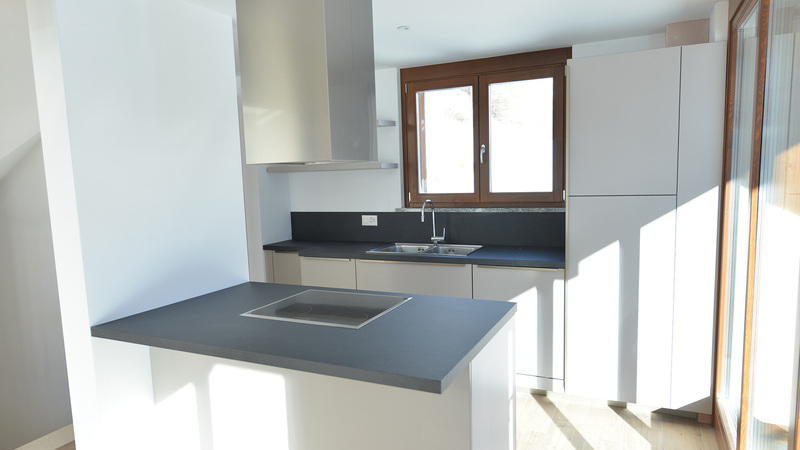 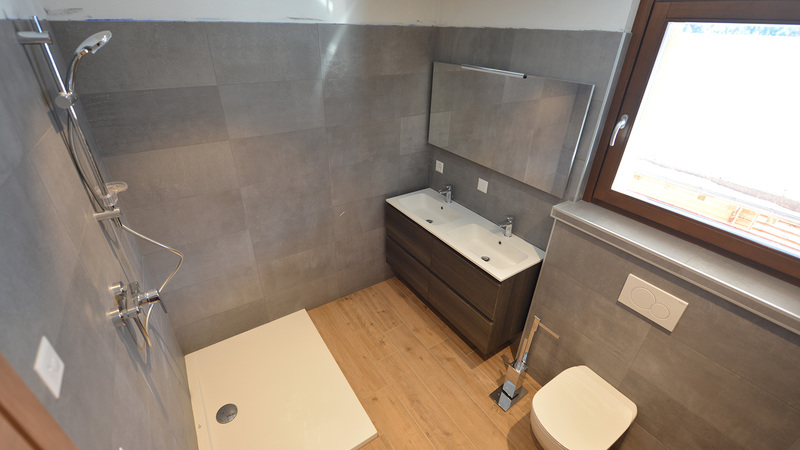 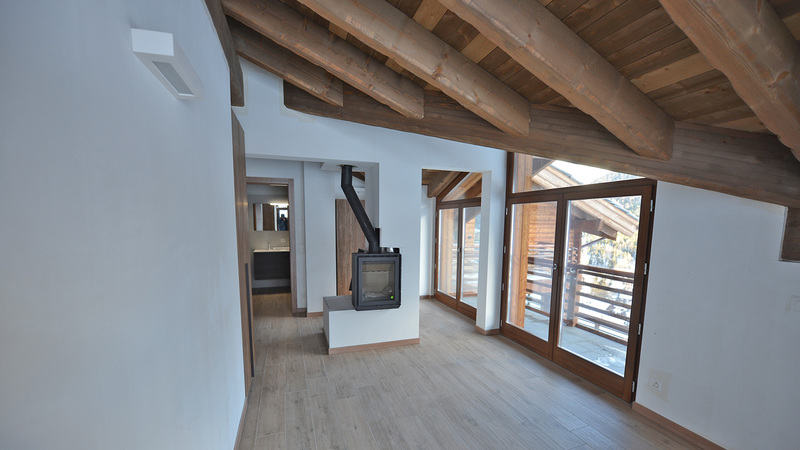 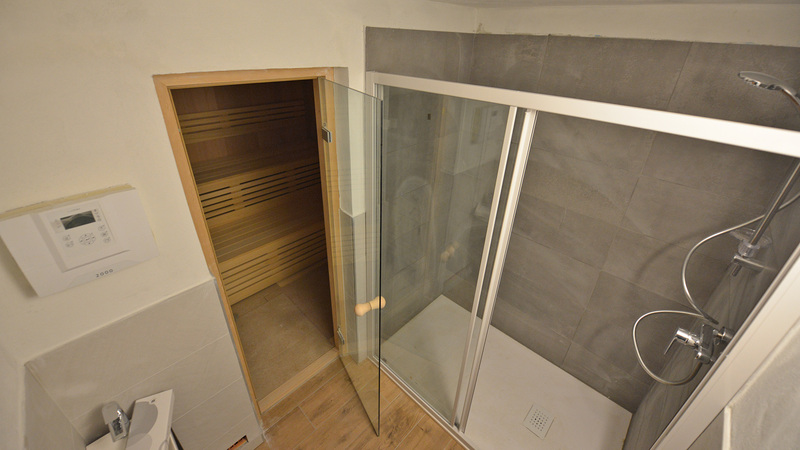 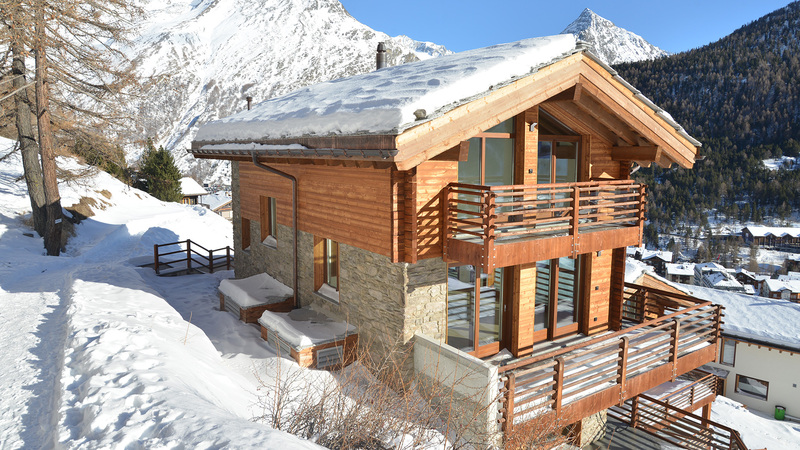 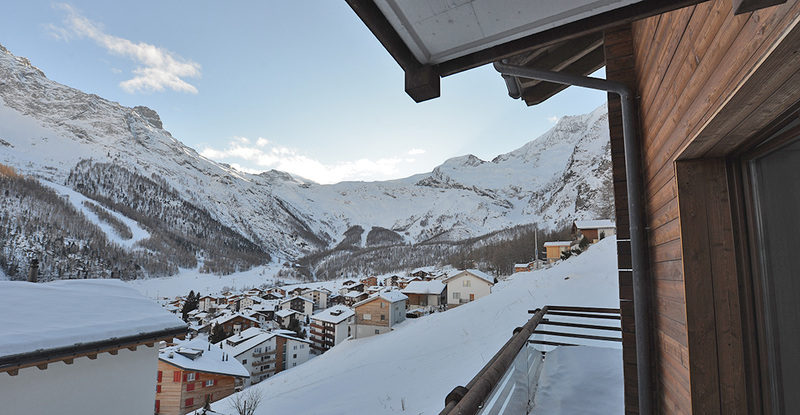 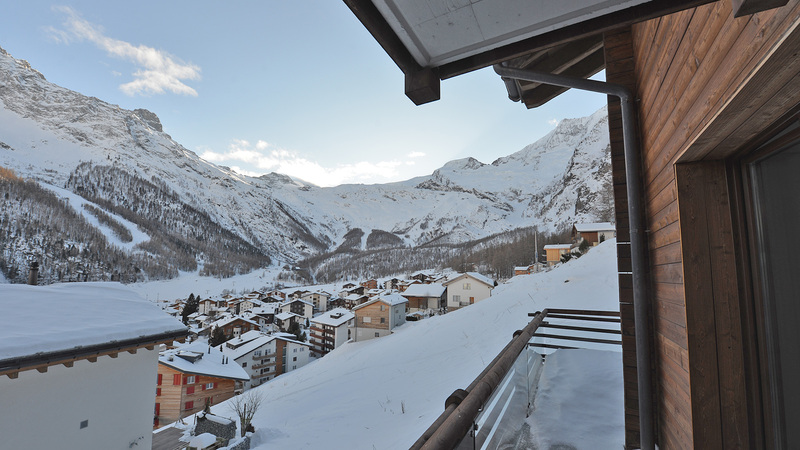 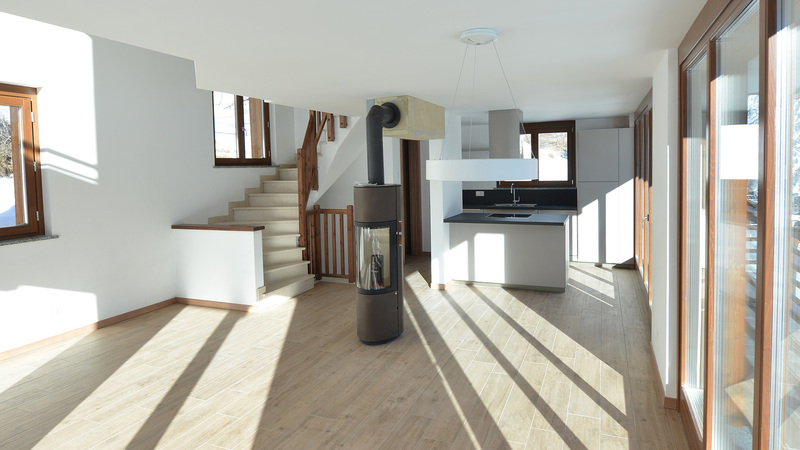 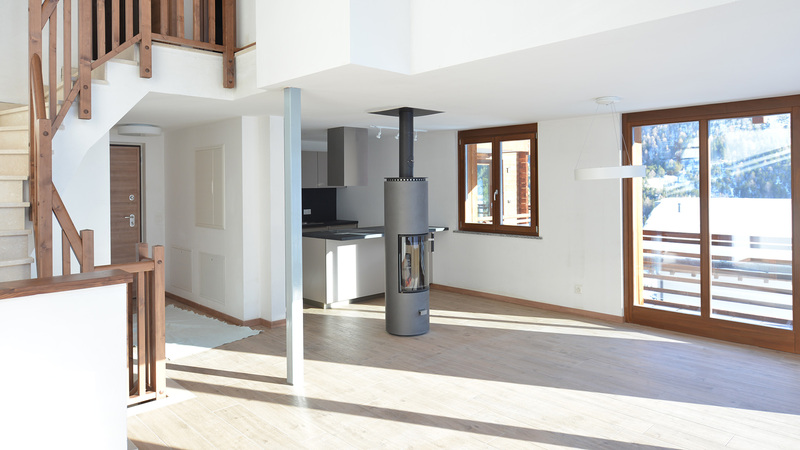 The Pinacle Apts are part of a prestigious new development located just above the village of Saas Fee in a convenient ski in location. 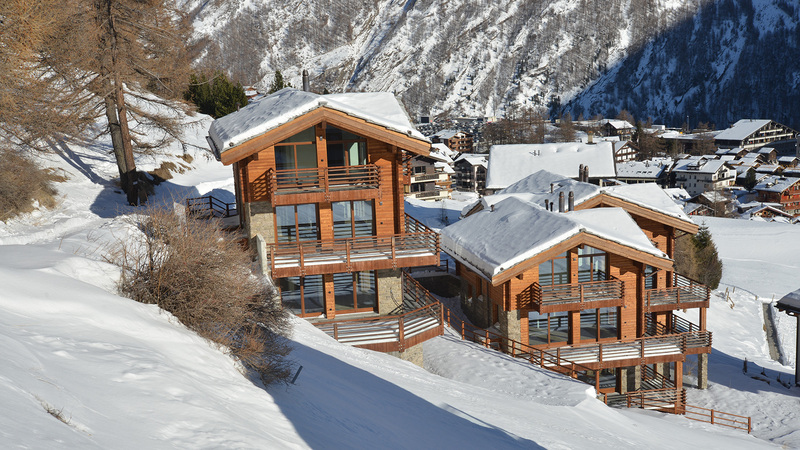 There are now only two apartments remaining, 2A and 2B, which constitute some of the last opportunities to own a brand new property in the resort. 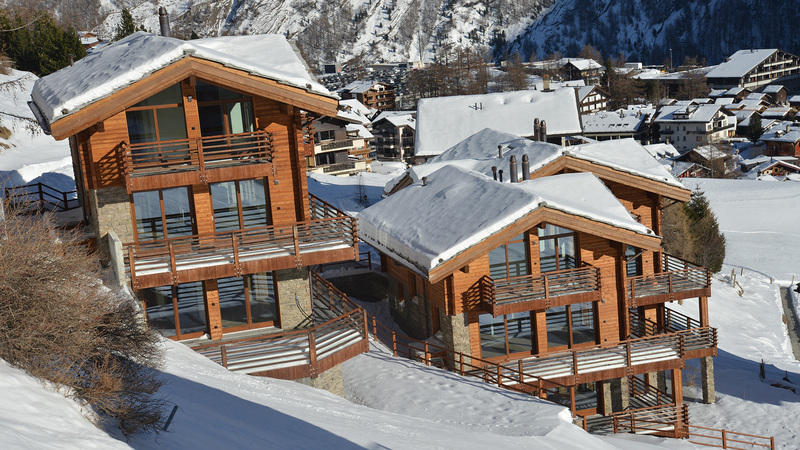 Both units are duplexes within Chalet 2. 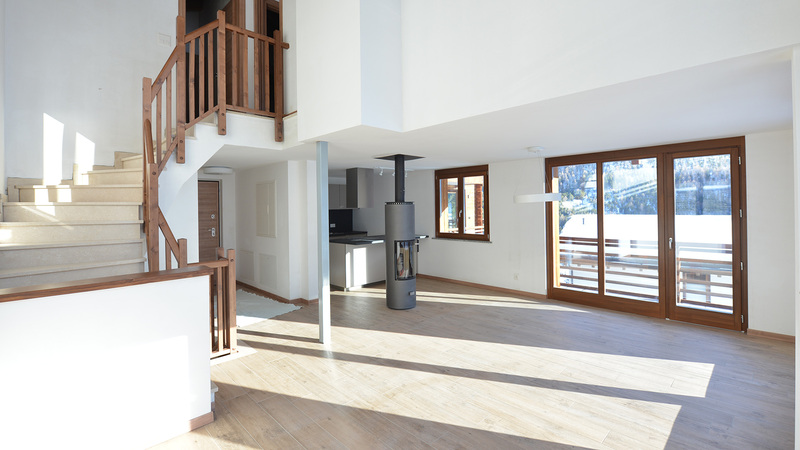 A is a 2 bed on the ground and first floors, while B is a 4 bed on the second and third floors. 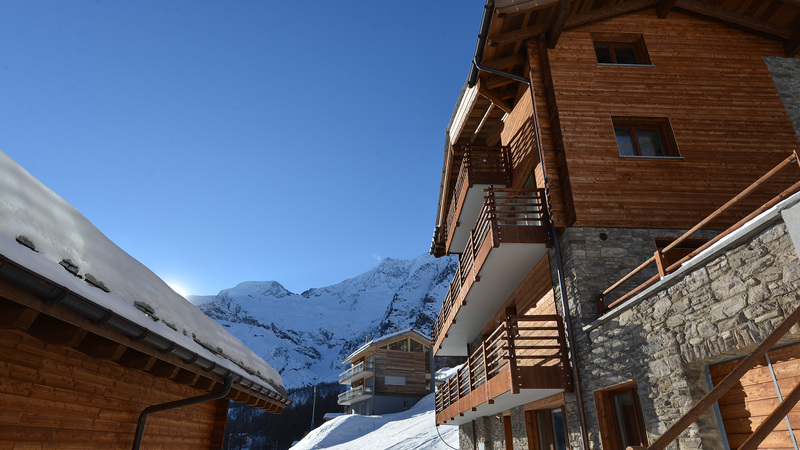 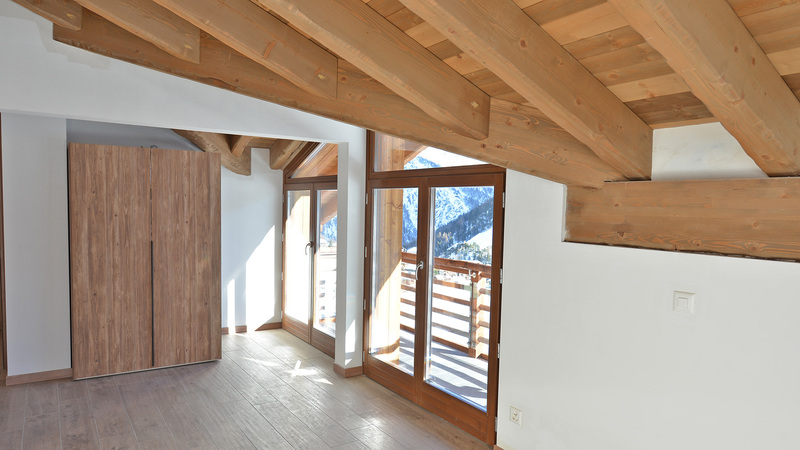 Each enjoys beautiful views from south-facing balconies, plenty of light, spacious and modern interiors and access to a ski room and cellar.